SNA Rentals would like to provide customers with the best holiday experience, below is a list of local rental companies that we recommend for your next holiday adventure. Note: to contact the below rentals use the numbers provided on the adds and links. 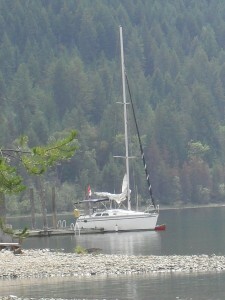 Geat Sailing on the Kootenay Lake – the largest inland freshwater lake in Southern British Columiba Canada. In the heart of the Kootenay Rockies with Spectacular scenery, Hot Springs, funky communities, exceptional restaurants , hiking , and Kokanee Spring Golf and record world Rainbow Trout fishing!